The Whole Fam Damily | The Kids Beat | Kids VT - small people, big ideas! 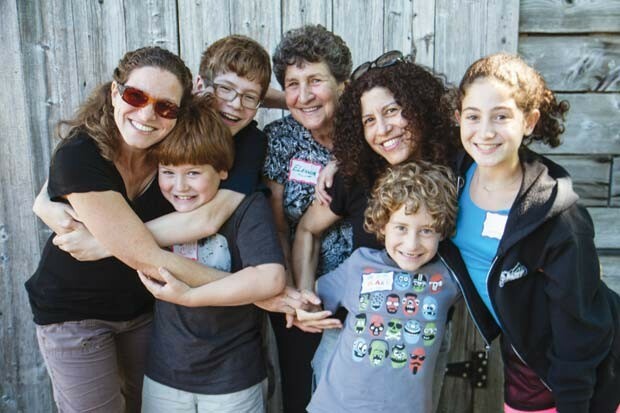 Summer camp is a multigenerational affair at Camp Common Ground in Starksboro. Since the family camp was created 20 years ago, it has welcomed campers of all ages and encouraged families to bring grandparents along. So it's not uncommon to see kids teaching Grandpa how to yo-yo or filming a mockumentary with Nana. Our culture tends to exclude older generations when it comes to family vacations and outdoor adventures, says operations director Neily Jennings. "The magic of making summer camp available to grandparents and kids is that it creates a much richer experience for everyone," she says. "Campers of all ages can be their own person and pursue their own interests, but it's amazing how much those interests overlap." Camp Common Ground: The Starksboro family camp, which is celebrating its 20th anniversary this summer, offers four weeklong sessions, from July 19 through August 15. Find more information at cgcvt.org.